After I finished making this quilt a few weeks ago, I realized that I had exactly enough blocks leftover to make a big pillow. A really big pillow that I made very slowly. Deciding to hand quilt the pillow slowed me down quite a bit. But the big obstacle was adding the zipper. It is amazing how long it took for me to get around to installing the zipper. Finished size: 26" x 26". The binding is one of my favorite prints ever. It's the black ladder dot print from Chicopee. 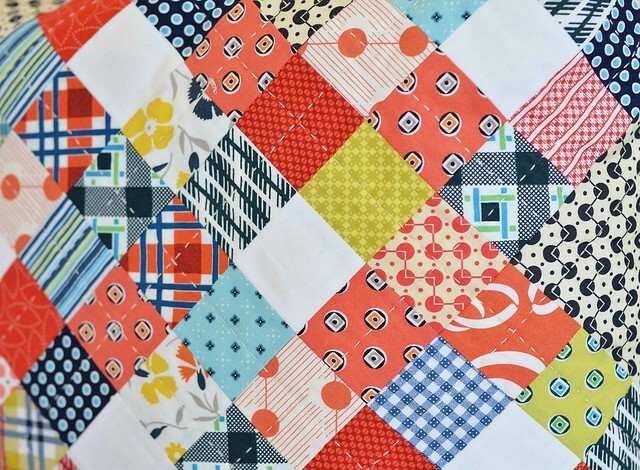 In other news, I am continuing the quilt markdowns in my shop. They are now marked 30% off. 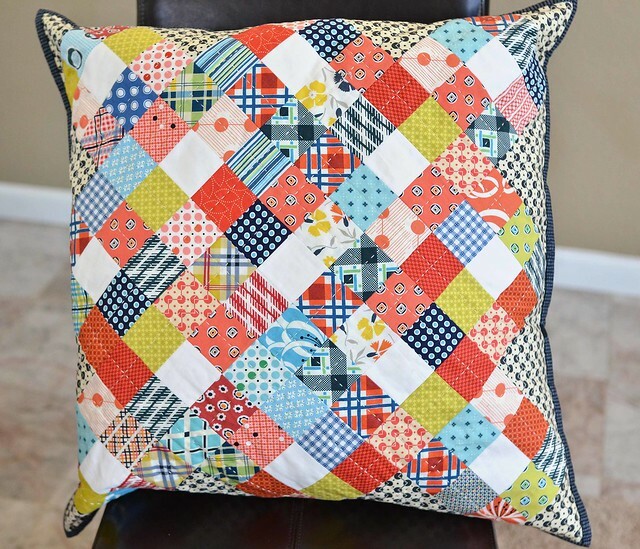 Looking very nice pillow, Can you explain here, how to make this? 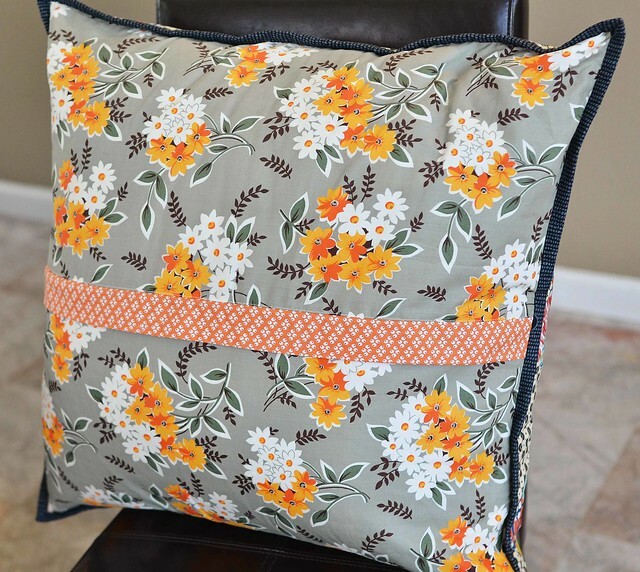 I like to make homemade pillow, that’s way I am always try to search new craft, which I can make to home. Since I am best assignment help in Australia UK provider at secure assignment in UK. I would like to teach my students about education and extra activities like craft. And I would like to share this website to more people. Thanks for sharing here. Stunning colourful pillow created by you. My wife love to do creative something like this apart from the providing dissertation service to students who are looking for assignment help from her. She will be happy when I suggest her to make pillow as you made. Being as a good husband I always help and support her to doing homework or implementing ideas related to home décor. All of these designs are the best and I must appreciate the designer for such hard working and best effort. From my all dissertation writing services team, I would like to wish him best of luck for future.